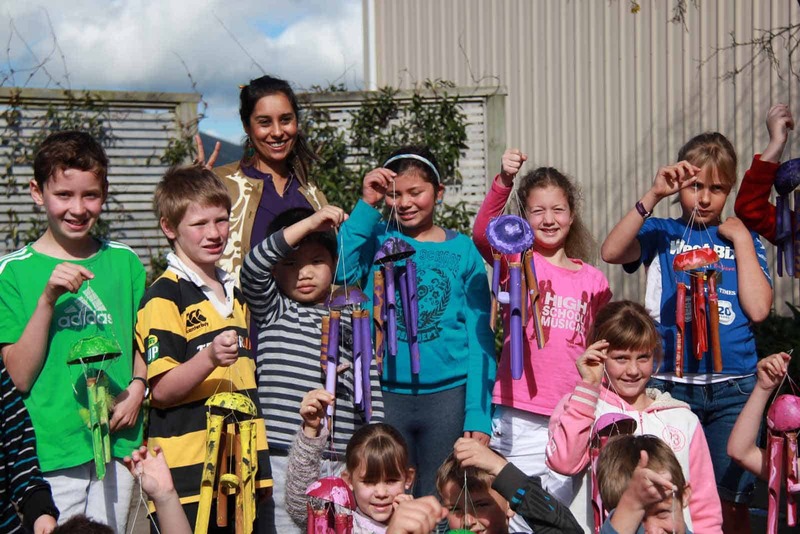 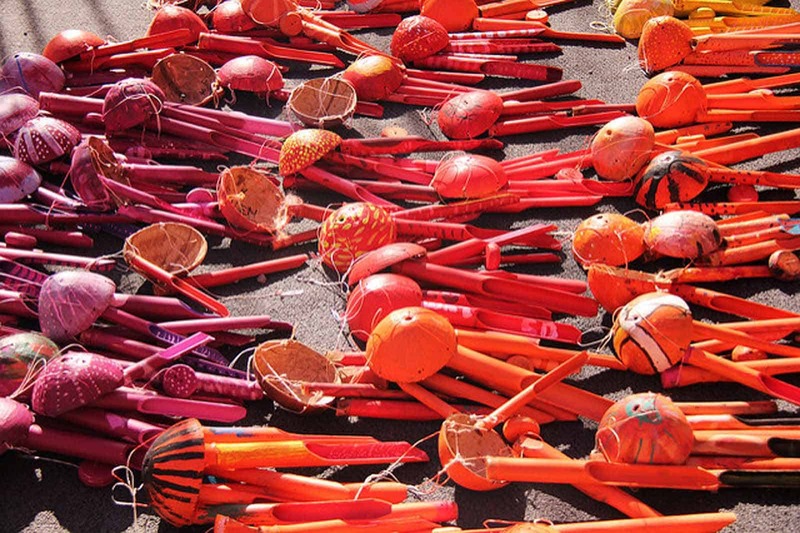 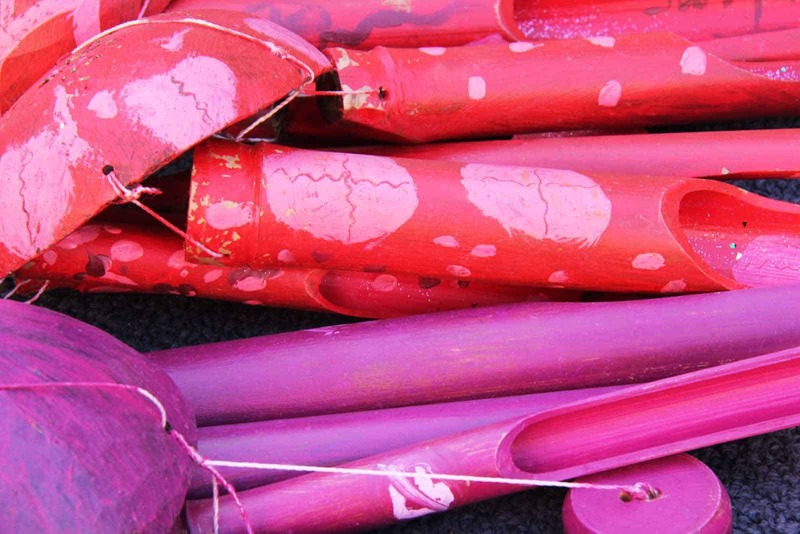 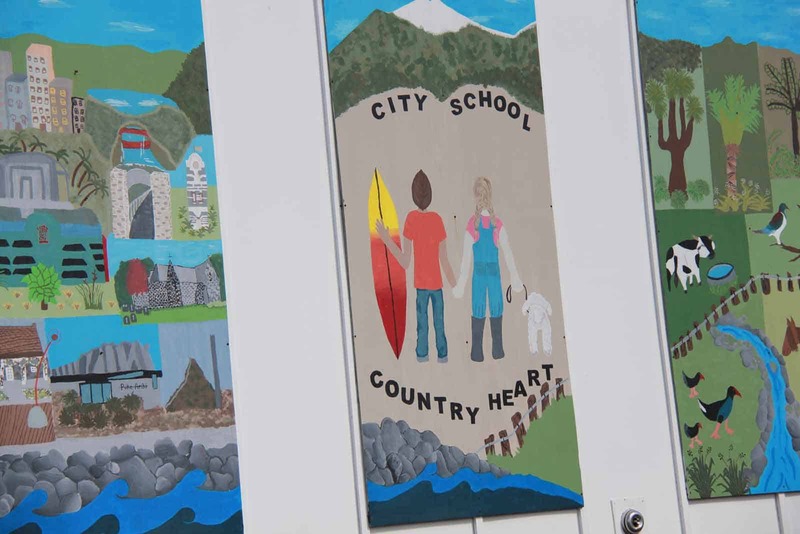 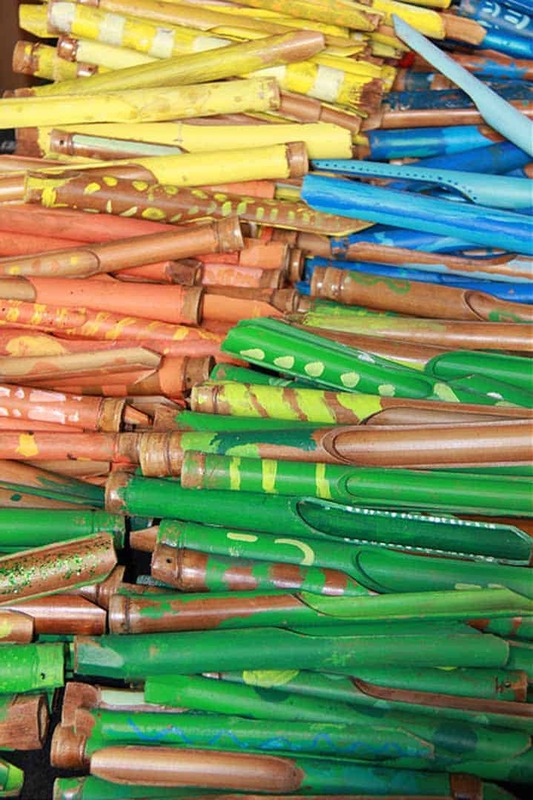 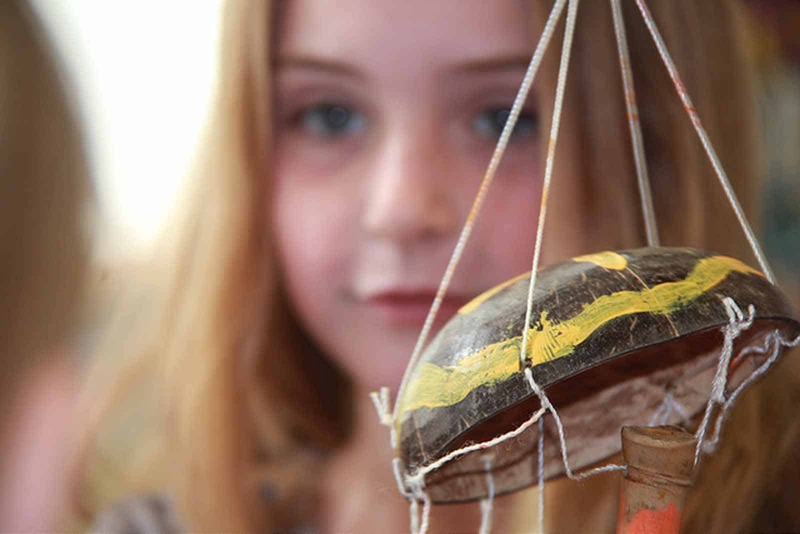 This exhibition involved Taranaki children painting 1001 wind chimes and infusing them with wishes for their community. 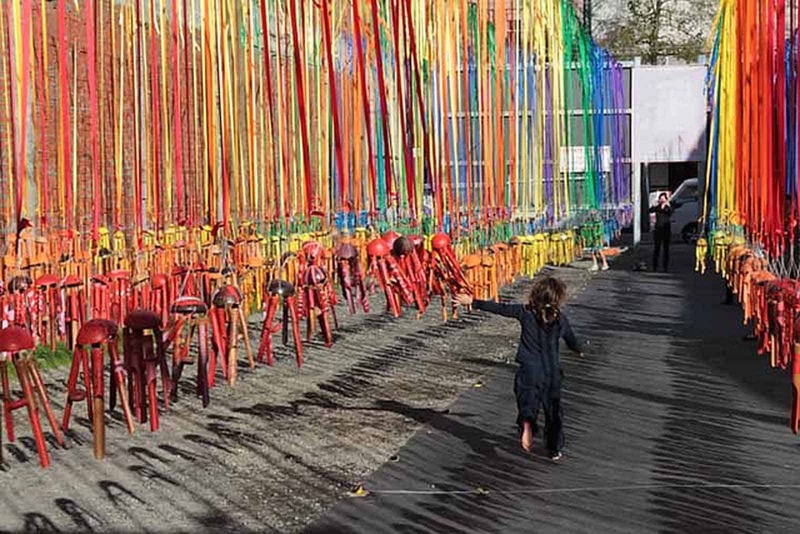 Creating a giant outdoor musical instrument for the public to visit. 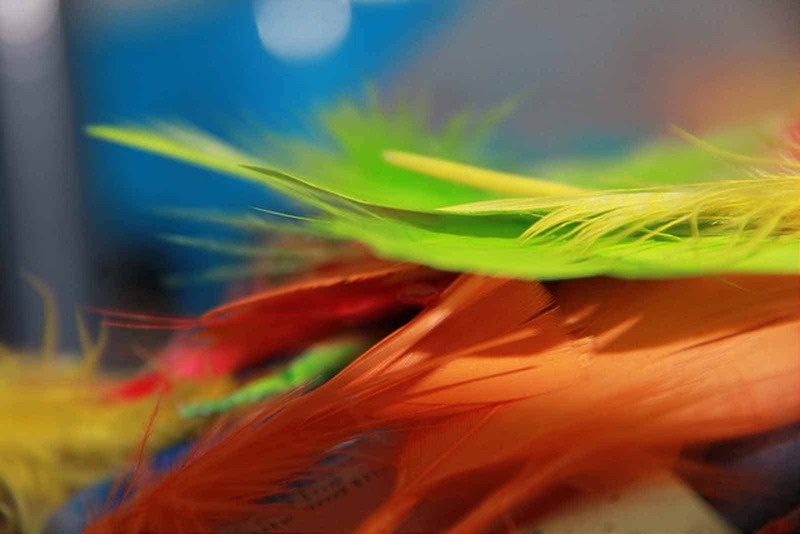 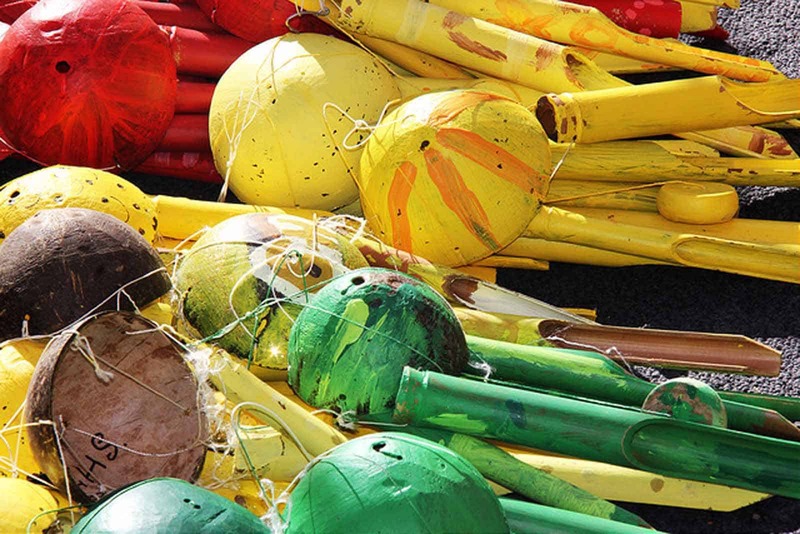 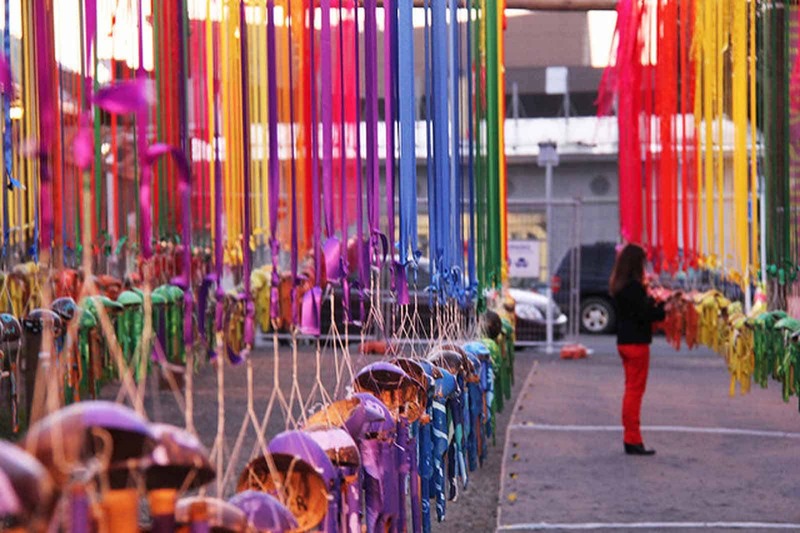 The wind chimes transformed the open-air car park opposite the Mayfair into a sensory experience where people are surrounded by the colour and sound of the chimes hanging from a spectrum of ribbons. 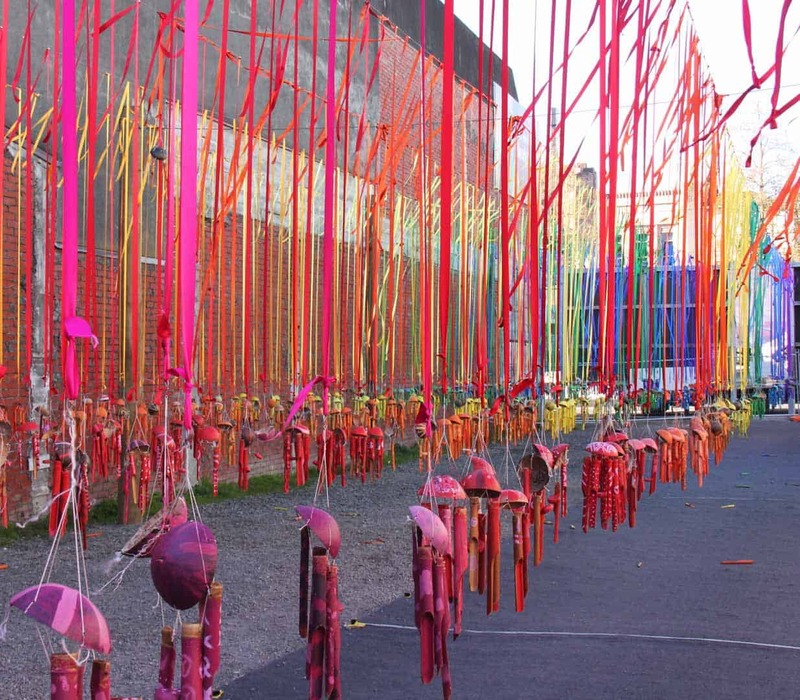 The exhibition was presented by the Govett-Brewster Art Gallery in association with the Taranaki International Arts Festival. 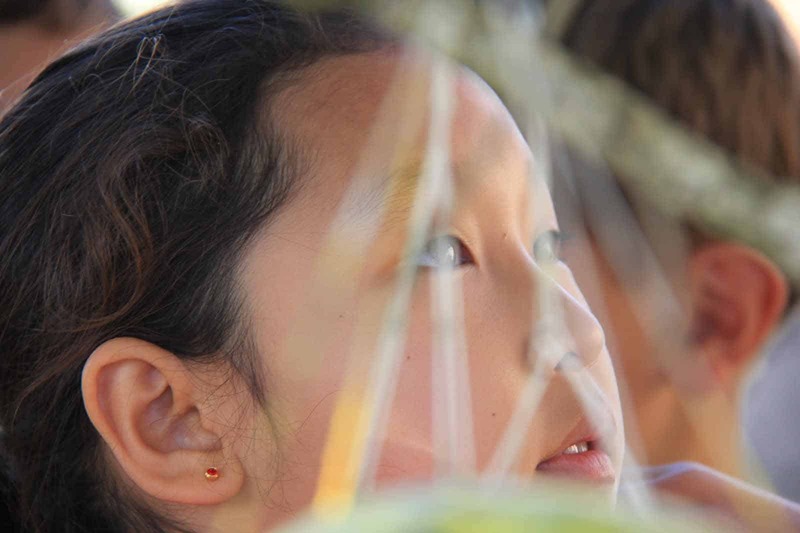 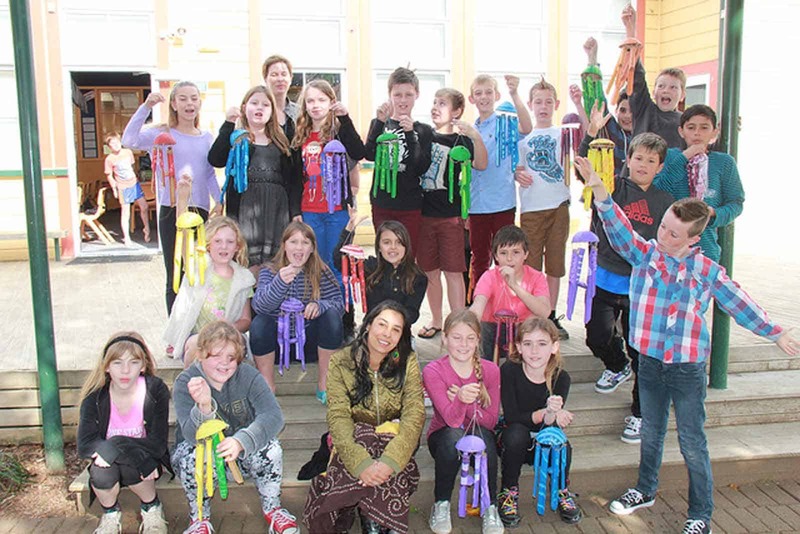 Govett-Brewster educator Chris Barry says the participating students were excited to be involved with an art exhibition that connects something at school to the wider world. 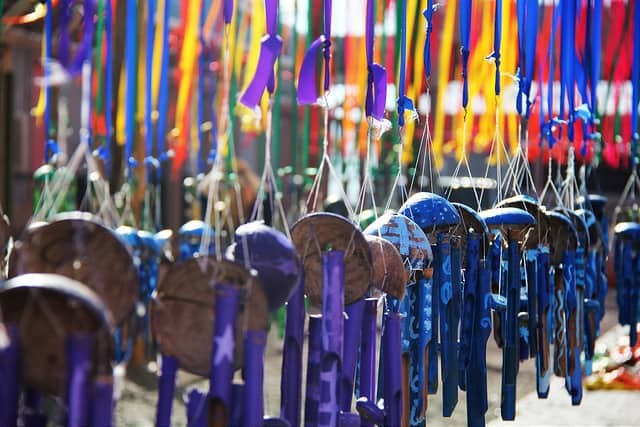 In the classroom, the students brainstormed their ideas about colour and wishes for their community, then watched a film about Singh, before translating their thoughts into cultural symbols and patterns relating to colour on the wind chimes. 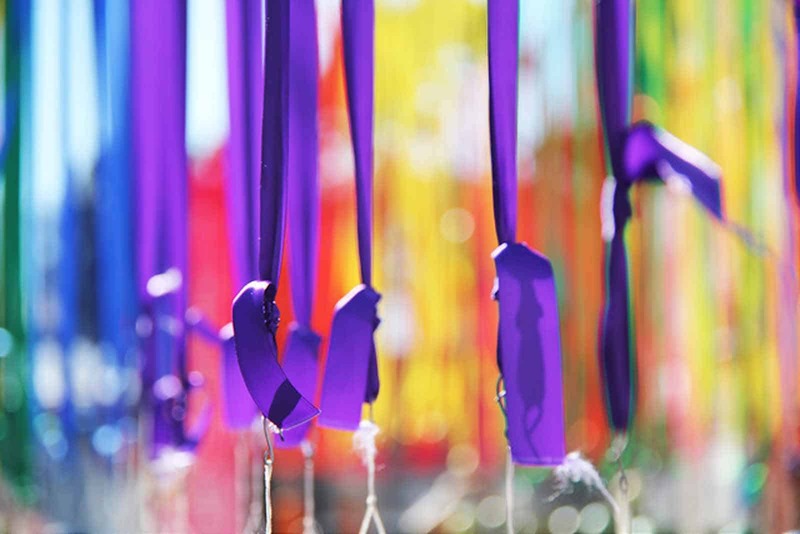 "The kids enjoyed this project, particularly as it engages with them using the colours of the rainbow and gives them a voice for a better future," he said. 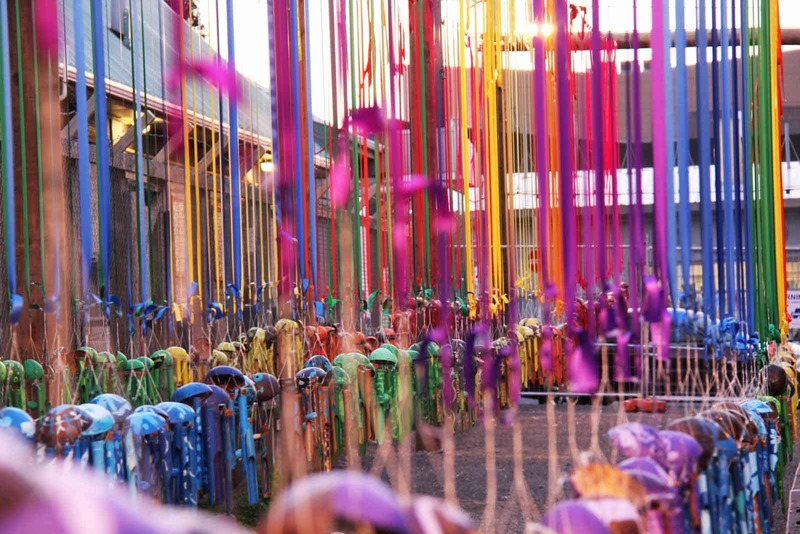 Ancient cultural beliefs inform Aucklander Singh's art practice, which explores the continuum between science, the natural environment, personal wellbeing and global consciousness. 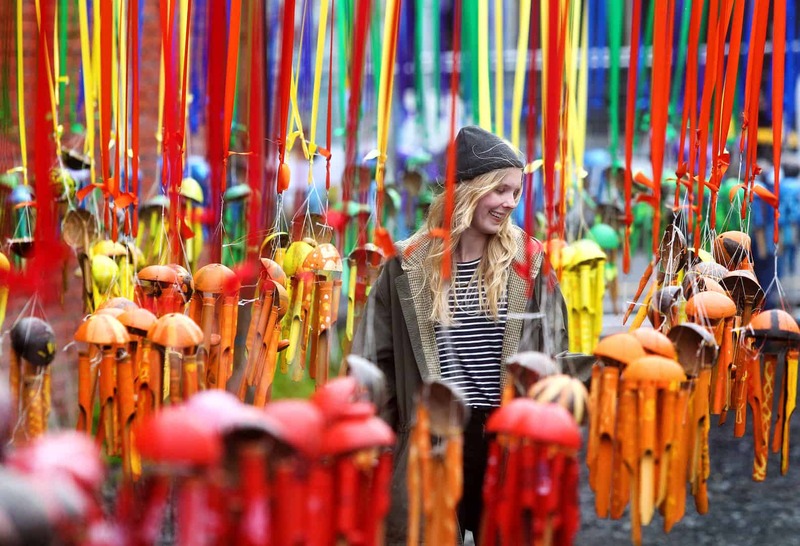 The artwork would not exist without people’s involvement in both making and viewing the installation. 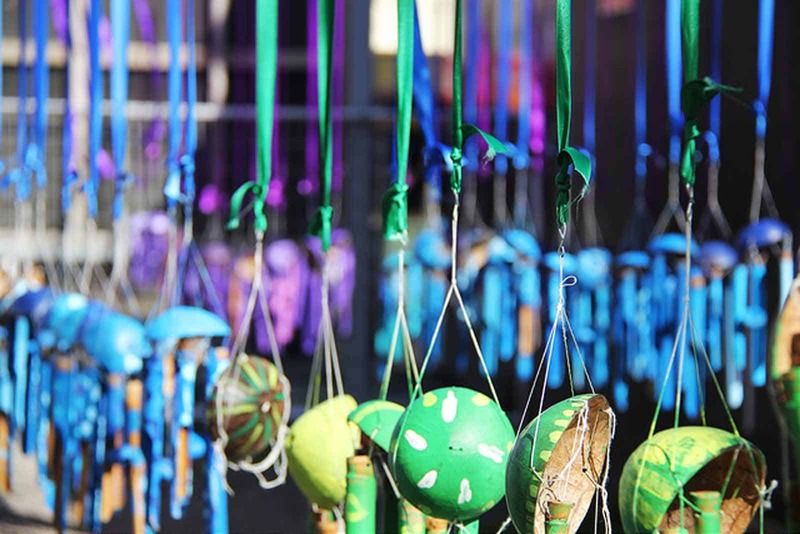 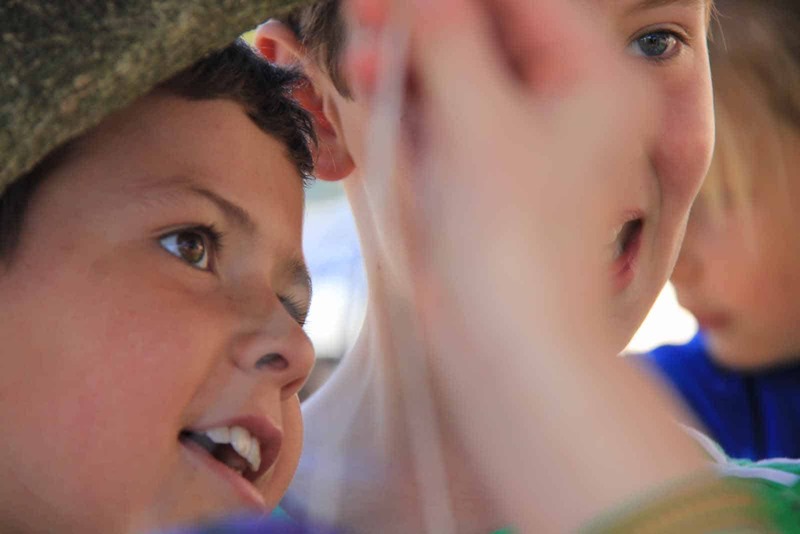 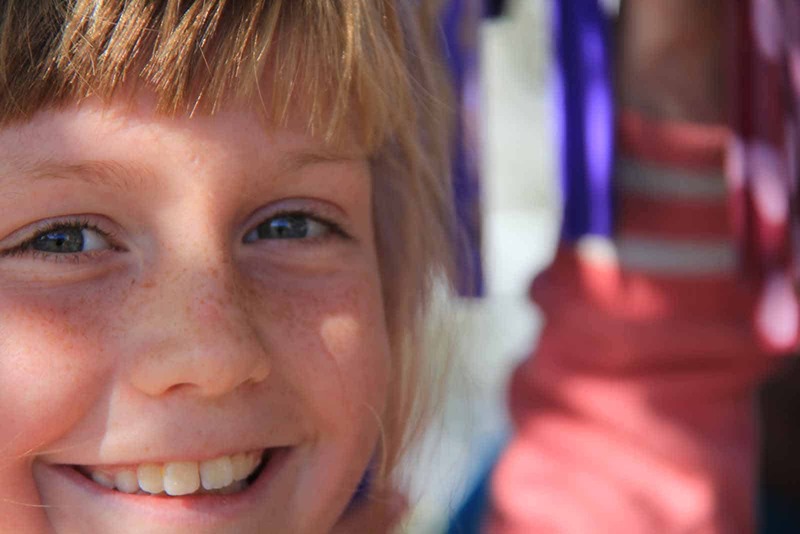 Working with children in the community to paint a wind chime with meaningful symbols means the children's feel like an active part in the wider community. 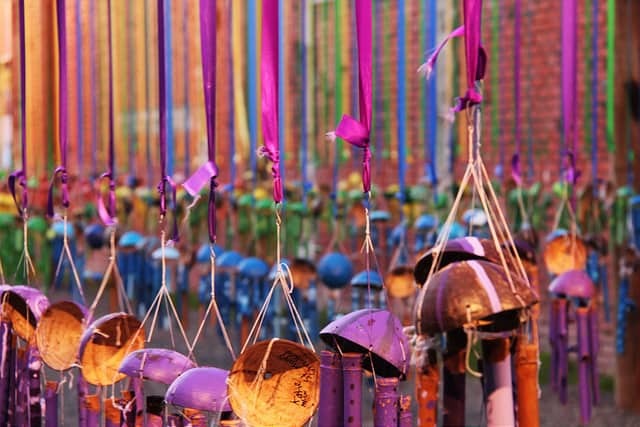 This installation then becomes one as a musical instrument. 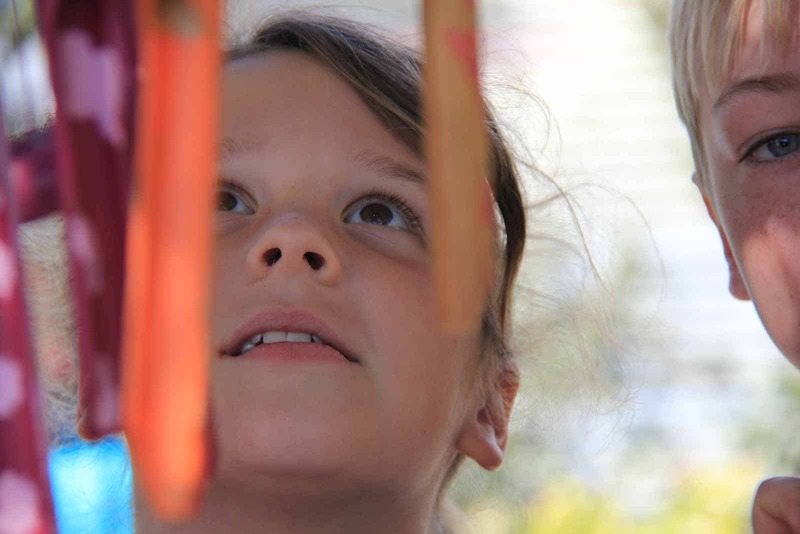 Creating a greater awareness of living in the moment that leads to a sense of well-being. 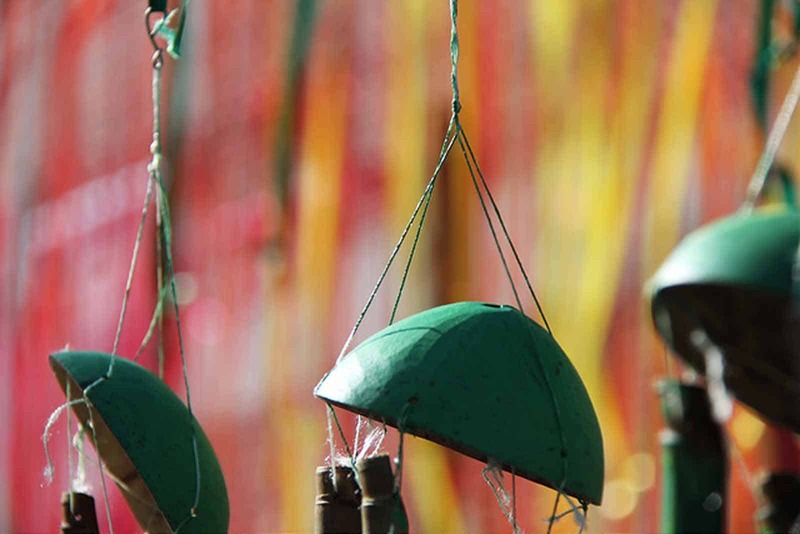 Historically Buddhists hung wind chimes in large numbers on temples, shrines, pagodas and caves. 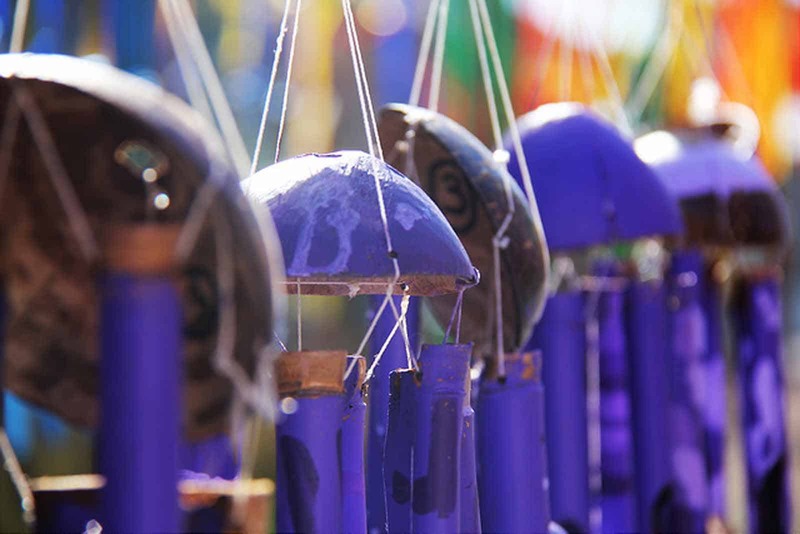 Wind chimes make us more aware of that interesting human feeling of dreaming yet being awake. 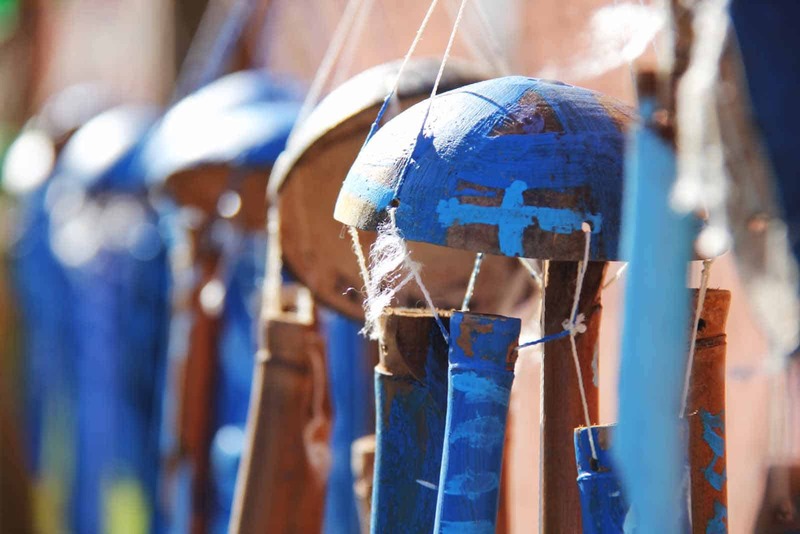 The instruments are believed to have a role in healing and balancing energy that the whole community could benefit from.